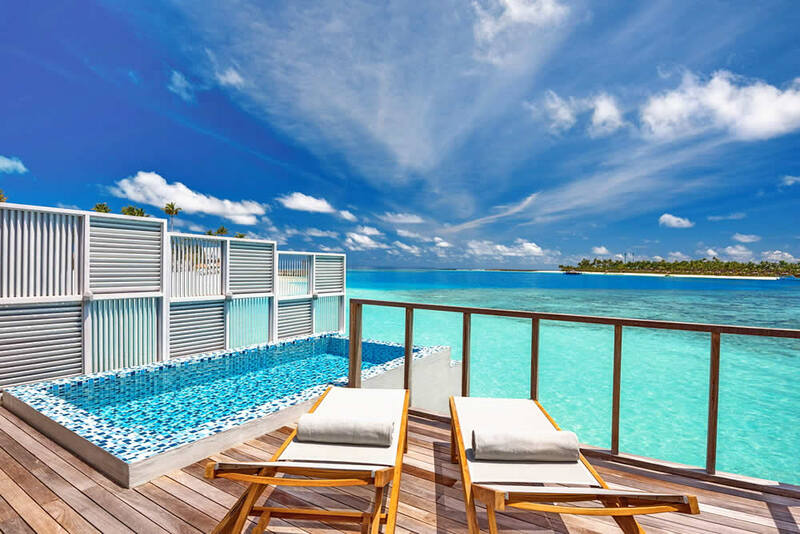 Opened on July 2018, the 4-star a premium all-inclusive hotel offers a wide selection of modern individual beach and water villas and suites to choose from, some with private pools. 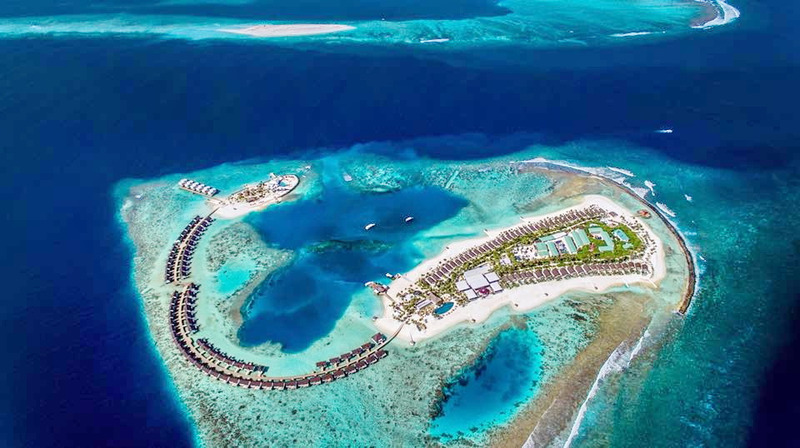 An another feather in Atmosphere Hotels & Resorts cap of luxury Maldivian retreats, the resort has 137 villas in six categories, many modern amenities, a selection of restaurants and services, amongst some of the best diving and snorkeling spots in the entire Kaafu atoll. The resort is a short scenic speedboat journey allowing guests to start and end their stay experiencing the full beauty of the Maldives. In short, take a resort where every need is catered for, where nothing is too much trouble, everything is maintained to a beautiful standard; add the Indian Ocean with a myriad of tropical fish, perfect white sand and wall to wall sunshine and you truly have Paradise. 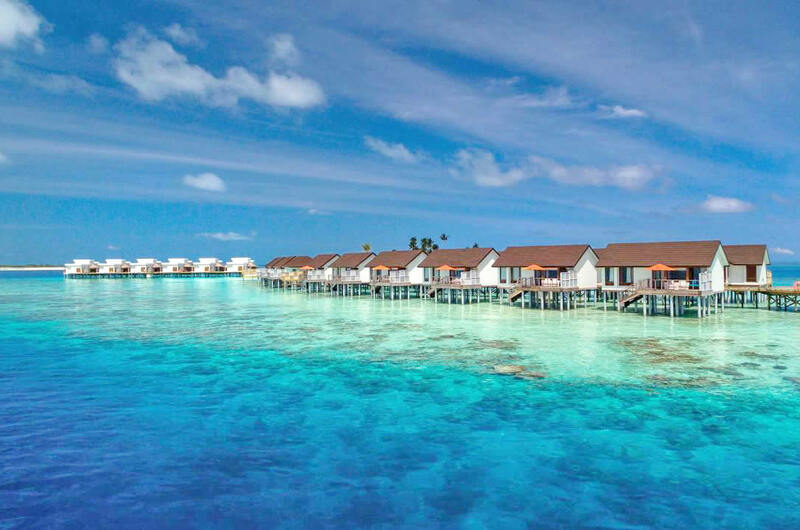 There are few places where you really feel out of the world and this – Maldives & Oblu Select, are the perfect example of it. From the arrival to departure, it is flawless. As for speedboat transfer: Upon arrival at Male airport you'll be greeted by a member of the Oblu staff. Next short walk to a waiting in front of the airport building, a new speedboat with free Wi-fi that is started without waiting with you and a few other guests. But as a rule there's usually a short wait while other guests come before you get the speed boat. The approximately one-hour ride on which there is quite a lot to see as you passing by other resorts across the North Male Atoll, is in the closed boat, thanks to air conditioning, water and chocolates, as pleasant as possible (if comparing prices, it seems that some sites include the boat transfers whereas others do not, so check carefully). The speedboat docks directly at the reception, which is perfectly built for the arrival. You will be make to feel special when you arrive, personal welcome from management and itinerary provided. After the very nice welcome from the stuff with drumming and clapping you'll took a seat in a recessed waiting area where you get cold damp towels and cocktails (glass of bubbly) for refreshment. During check-in, a short welcome and explanation about the island, your luggage will be taken to your villa and you transportation there by golf caddy. They pre-book your a la carte dining and excursions (if your stay includes them). Do ask if you want an island tour in the buggy to get your bearings as staff are very obliging. Although only half a year ago was the opening, you caan expect a beautiful, dense and large vegetation. Along the island are two beautiful trails that provide great shade. There are so many little added extras that make Oblu at Sangeli so special. For instance all bikes are free to use, in room you get robes, flip flops and a beach bag. No need to dress up - beach chic is the order of the day, pack light. By the way, we spent barefoot all the time on the island! With the incredible sea life you'll spend most of our time in the ocean. On the snorkeling tour you get water and towels plus snorkel gear if you don't have your own. Love how all the menus are on digital tablets, your mini bar is restocked twice a day, wine glass are provided and you even get in room snacks. This resort is brand new, spotlessly clean and very beautifully decorated from the rooms to public spaces. It may not be a rustic, traditional Maldivian resort however the contemporary and modern design very pleased with the eye. The island still retains a tropical feel and do not look artificial in any sense, it also feel luxurious. Although it's a very small island and never feels crowded even when fully occupied, no matter where your villa is located you can call for a buggy to take you around the island. 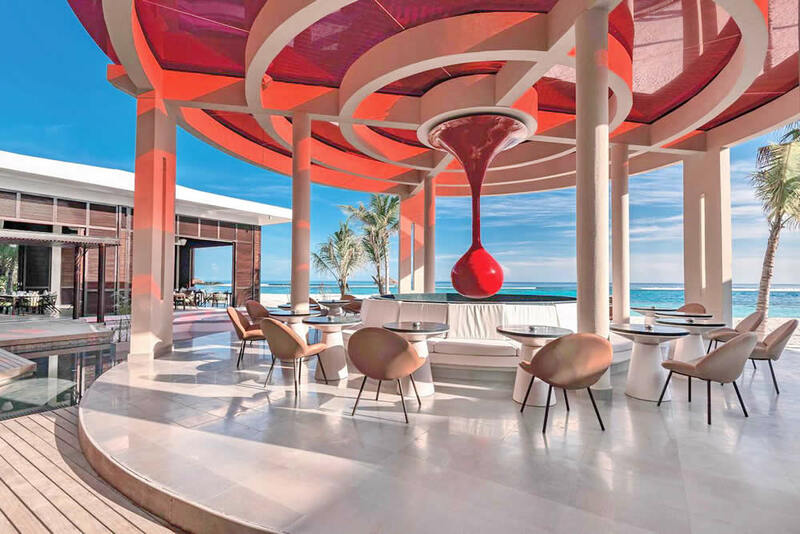 The resort comprises three beaches (one with a spiral water slide into the sea), three dining options (one buffet and two à la carte restaurants) and bars, a family and adults-only infinity pool, fitness centre and Elena spa. 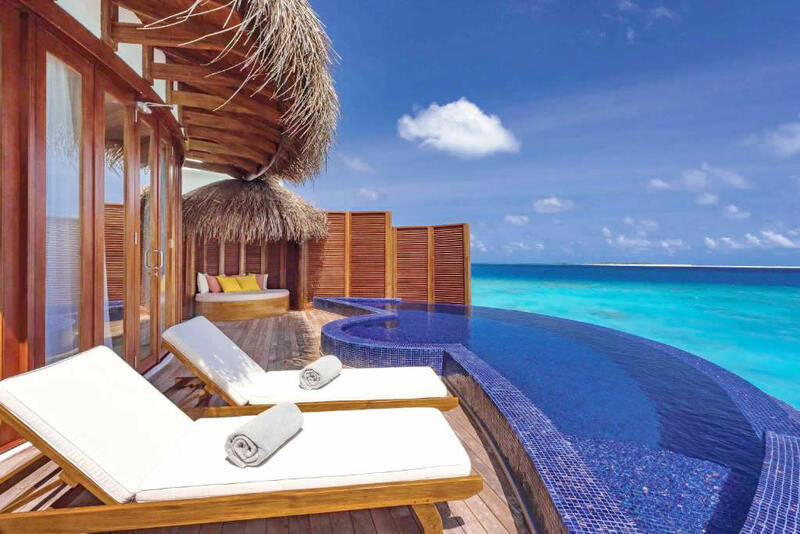 The layout is one larger island and one smaller adults only island connected via a sweeping wooden walkway along which the water villas sit. Passing buggies or a bikes on villa walkway make a bit tricky traffic. 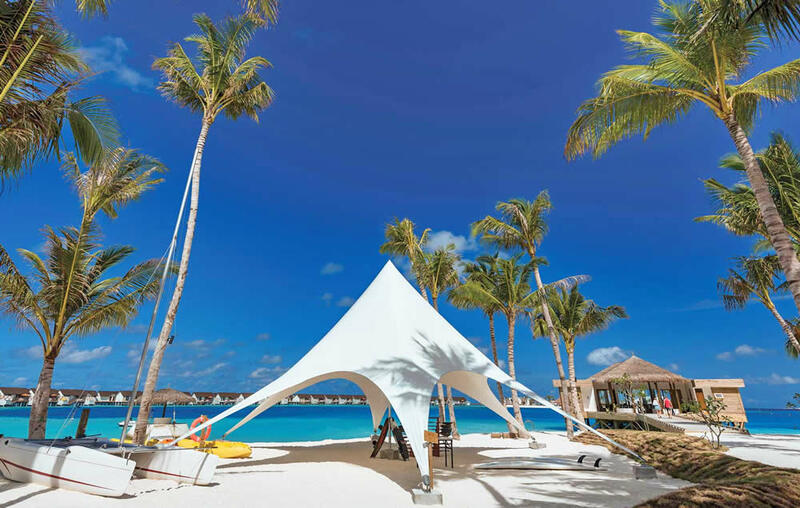 The main part of the resort, where the palm trees, beach villas, and contemporary main buffet restaurant are located flows into a long arc of white bungalows built on a jetty and leading to the adults-only Banyan Island. Adults only area is a blissful. 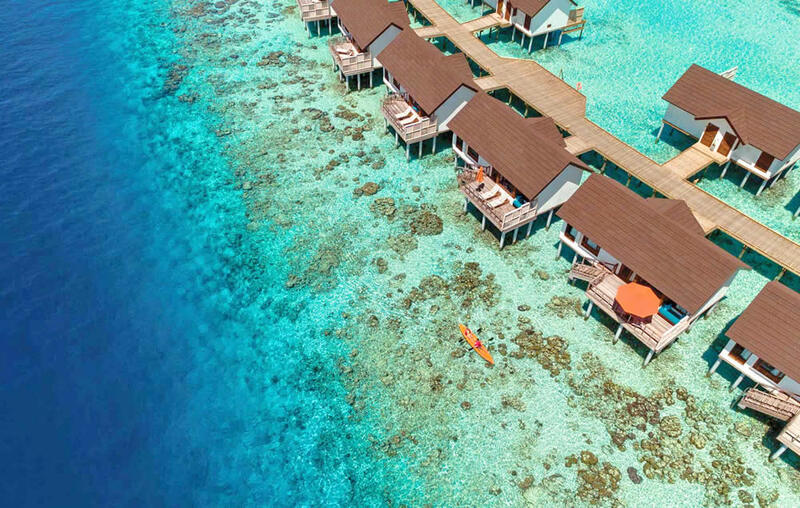 The villas are encircled by a coral reef, there are stingrays, green turtles and reef sharks in the pale aquamarine waters beneath the jetty and beyond. 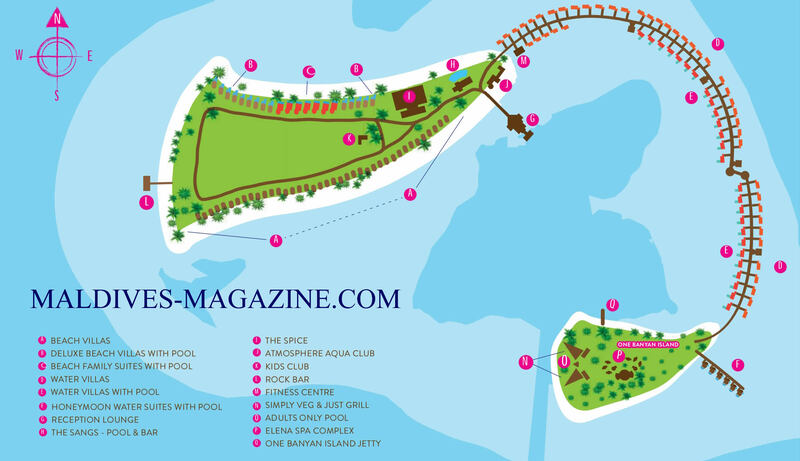 You will love the quiet of One Banyan Island, the swimming pool there is also relaxing. The beach on the side by the spa has a steep drop off but so beautiful for snorkeling! Another highlight of OBLU Select at Sangeli is the exclusive Overwater Honeymoon Pool Suites, that are perfect for an unforgettable honeymoon. These romantic rooms are built next to "One Banyan" and offer their own view of the sky with a round bed and a direct sunset view over the lagoon. 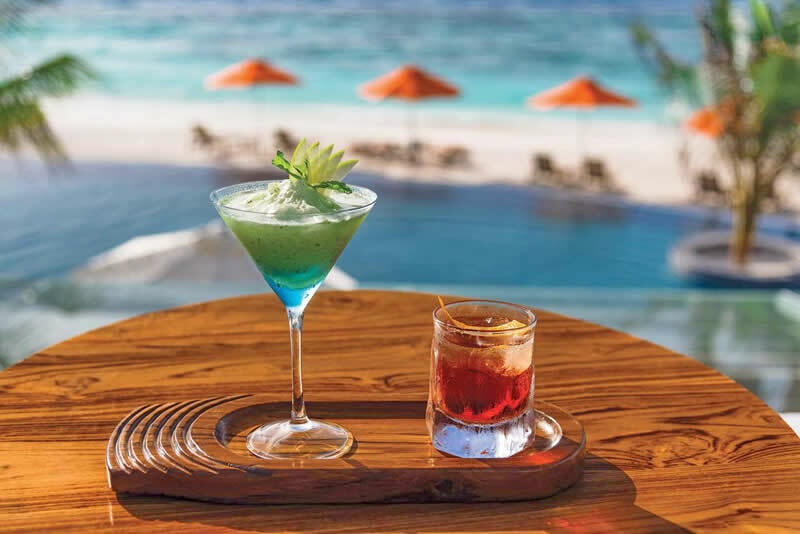 In addition to the Overwater Honeymoon Pool Suites on 'One Banyan', this exclusive private island is open to adults only from sunrise to sunset, with its own adult pool and a fully-stocked bar. Wifi is available in the villa as well as the main areas. It is slow but adequate for email / social media. The guests are a mix of ages and nationalities, some couples, some families and the people you can see are mostly from the Europe, Russia, China and Asia. There are enough children that you do't feel self conscious with the boys playing in the pool, but not so many children that it stopped feeling peaceful. Staff to guest ratios are very high. 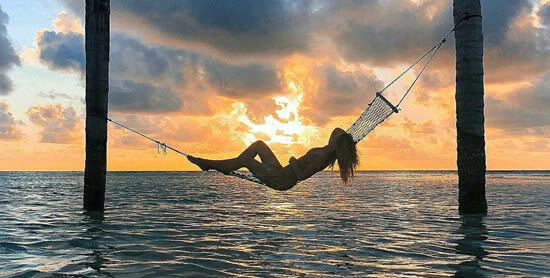 What set the resort apart from an other Maldives' resorts it's the hospitality and the service. Every single member of the staff greet you with a smile and ensure whatever you need is there for you, and they do way more than you could ever have imagined! Manager Jorge is doing great things at Sangeli. He has a wealth of experience and it's clear he is drawing best practice and inspiration from the other Atmosphere resorts to make Sangeli a 'best in class' offering. It doesn’t feel like a brand new resort in the sense that it’s not ‘inexperienced’ - it’s well-run, efficient and aspirational. This resort is without doubt outstanding. Staff are always friendly and smiling, and greet guests (sometimes by name) as you go around the island. All of the staff from the restaurants, to the bar staff, reception staff, housekeeping right up to the General Manager ensure your stay is both enjoyable and memorable. They ensure your holiday is stress free and seamless from start till end, from sorting out early departure breakfast to all transfers. 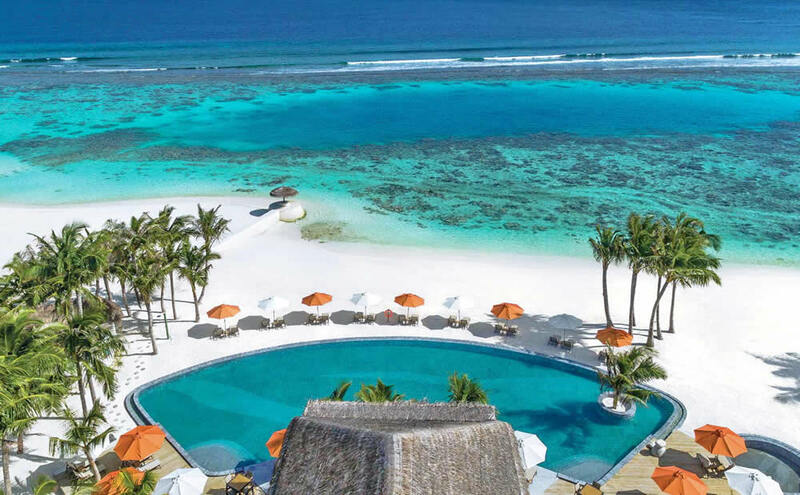 The island resort is 32 miles north (50 minutes by speedboat) of Velana International Airport (VIA), on the northwestern tip of North Male (or Kaafu) Atoll in the Indian Ocean. Being set in the middle of one of the region's wide channels Sangeli island adds to this feeling and tells you why the location has always been a big hit with serious divers. 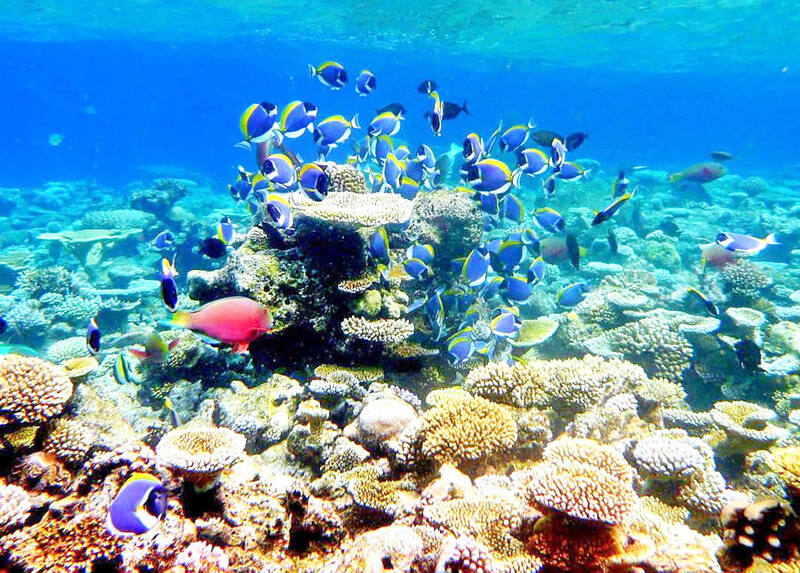 With an outer and inner (lagoon) coral reef, there's an abundance of sealife and a high chance of actually spotting it whether you're scuba diving or simply snorkelling. OBLU by Atmosphere at Sangelii is located just a short 50 minute speedboat ride from Malé. One aspect of its good value is the fact that it has a speedboat transfer rather than an expensive seaplane trip. The island is in the same atoll as the airport and Male but it feels remote and all alone in the northeast corner. The resort's 137 rooms and suites are made up of Water and Beach villas (the deluxe versions of both come with an infinity pool), family suites with a separate bedroom and living area and six Honeymoon suites on Banyan Island where couples can frolic in bright red circular bathtubs below retracting mirrored skylights. The mostly guests try for both options - Beach Villa & Water Villa and both are Superb. 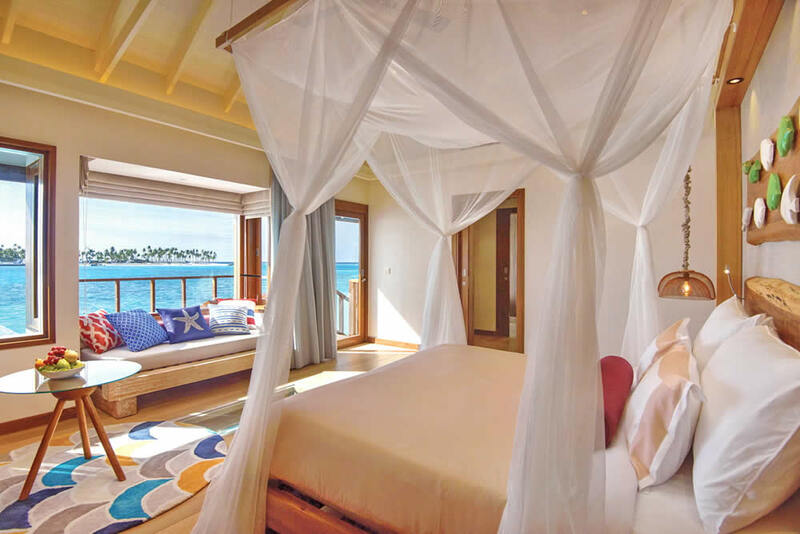 Modern décor consists of pale wooden flooring (with a glass viewing panel in the water villas), vaulted ceilings, walk-in wardrobes and colourful, locally made fabrics. Spacious mosaic tiled bathrooms (beach villas have outdoor bathrooms) all have a freestanding bath and soft drinks, beers and wines from the minibar are free of charge. Power sockets - there are plenty and they take UK / European / US and probably Australian plugs. The most affordable of the accommodation, the Beach Villas are clean with trendy interior and the white sand just a few steps away make everything perfect. Nevertheless, the villas are very well thought out with consideration to how guests would use the room, spacious, with a little private garden area with sun loungers leading immediately on to the beach. Most unusually for a hotel room anywhere, the lights within the room are capable of being turned up very bright. The room also fit with good black-out blinds and curtains and power sockets by the bed for the essential overnight phone charging. The air-conditioning is efficient and hardly louder than a whisper. The bathroom and wardrobe area is between the main path and the sleeping area of the villa. The outdoor shower area is spacious. If budget can stretch and if travel with kids, it's good idea to stay in Beach Family Suite with Pool. This will put you on the island's lagoon/coral garden side. Just a dream - a beach house with a small private pool, separate bedrooms, two fabulous bathrooms (bathtub under the open sky) and a small anteroom with a couch and a table where you can play great cards. The Family Suite with Pool (2 bedrooms) is fabulous where the 'sofa' outside could comfortably fit 2 people lounging. The seating area is smaller in the non-suite (ie 1 bed) villas. All villas have 2 sun loungers anyway. Beds extremely comfortable and windows have blackout curtains/blinds so a sleep is very good - the main thing is not to be late for breakfast (7am-10am) despite 6am sunrise. The televisions in villa (there are 3 in the family suite villas) have channels in a range of languages. Not much reason to be indoors on Sangeli but on the odd occasion the kids need some chillout time inside they enjoyed Cartoon Network and Nat Geographic. Wifi signal is available in the villa - slow but adequate. In-room fridge replenished once a day. Contents: Still water, Coca Cola, Sprite, beer, red wine, white wine, corny granola bars, chips and Gummibärli. Also coffee machine (nespresso style) and selection of teas. Note that the island doesn't have diet drinks in the cans (Coke, Tango. Sprite, tonic water). Also, milk in the room is evaporated UHT milk. Being on the lagoon side has some useful advantages - the sand here is less coarse. You're also a very pleasant short beach walk to the Sangs and Courtyard restaurants. There's nothing wrong with walking along the path the other side of your villa to get to the bar/restaurant, but you might be dodging the electric buggies, whereas on the beach side you're only dodging the odd crab. Also the main reason for getting a pool and therefore being lagoon side is the house reef. Just WOW. We are convinced that this island will quickly earn a reputation for exceptional house reef snorkelling - the effects of the building works are not as significant as the bleaching caused by El Nino a couple of years ago, but we do think with a year or two more of recovery time (subject to global warming and if people respect the coral - ie: don't stand on it) it will go from strength to strength. For a more private sanctuary, benefiting from views across the Indian Ocean, the Water Villas are perfect of a secluded getaway. Facing the sunset (with a pool) or sunrise each villa is suspended over the azure waters, thriving with indigenous sea life, offering excellent opportunities to go snorkelling with direct lagoon access from your villa as you get free snorkelling gear with life jackets. The water villa’s without a pool overlook the ocean, not the lagoon, and If you are lucky on the morning hours you can spot the dolphins swimming not far from our decking. You can enjoy fantastic snorkelling 24hrs right outside the water villa to see a huge variety of fish, star fishes, reef sharks, rays, and octopuses. For confident swimmers, venturing out to the rope that marks out the lagoon is best to see an abundant marine life. We would definitely recommend the upgrade to a water bungalow, you can climb straight into the sea and you even have a glass floor so you can watch the plentiful fish, reef sharks and eagle rays swimming below our feet in the ocean. The rooms are a good size with an inclusive minibar, area for bags and clothes, a good sized bathroom with separate shower and bath. The villa itself is immaculate by the room attendants. The facilities in the villa are amazing, you have wifi, tv, mini bar (which is replenished daily). The bed is really comfy and the bathroom just incredible! The bath and shower have a wonderful view over the sea. The toiletries provided in the villas are White Company Noir and they also provided flip flops, robes and a beach bag for you to use around the island. The sun deck is a great spot to relax. 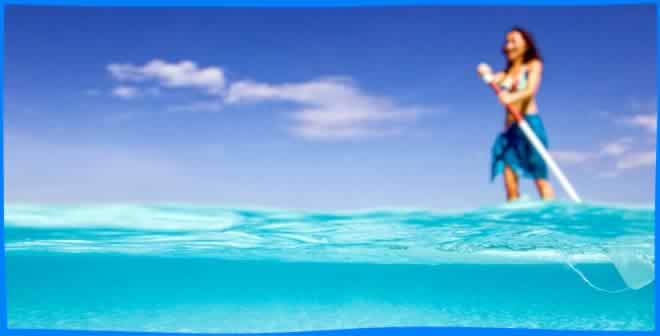 The sunbeds are great and very comfortable and you are provided with clean towels every day. A handy day bed also provides shade when you need a break away from the sun. Water Villas with Pool are all facing the lagoon (west) and the sun will be on your terrace from around 9am and you can watch the sunset on the evening at around 6pm right from a private pool. The villas are beautifully furnished and very spacious also, big wall mounted TV with a selection of international news and lifestyle channels, Mini Bar inclusive with the serenity package, complimentary WiFi and a very spacious and well presented bathroom, shower room and dual vanity. For a blissful romantic getaway, Honeymoon Water Suites with Pool are hard to beat. 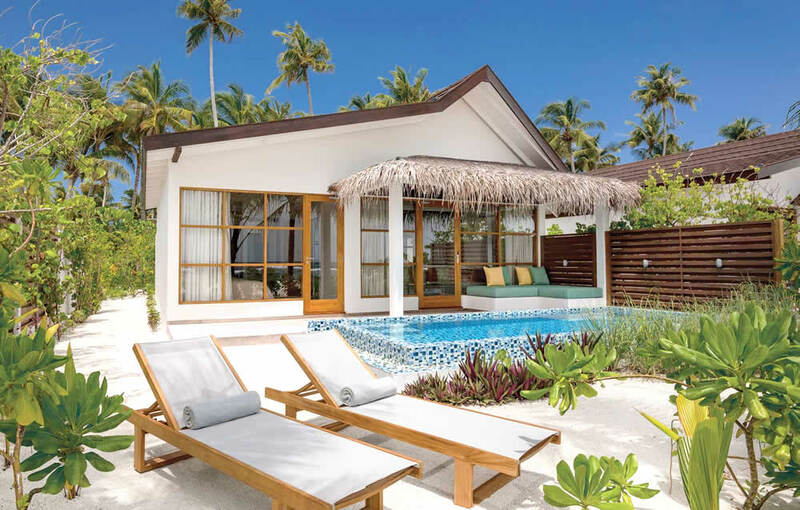 Exclusive and private these escapes (6 units) are built adjacent to a second private island called One Banyan and showcase the best for an ideal romance for newlyweds, as they embark upon their new journey in life together. Luxurious interiors and chic design style, with a luxurious round bed overlooking the lagoon, sensual round bath tub, mirrored walls and ceilings, sky light, a spacious sun-deck with sunbeds and cozy seating and an incredible 13m² private pool! The sutes are for 2 adults (couples only) and minimum stay of 3 nights. With a culinary perspective, OBLU Select at Sangeli continues to offer the typical Atmosphere Hotels and Resorts brand's benefits. 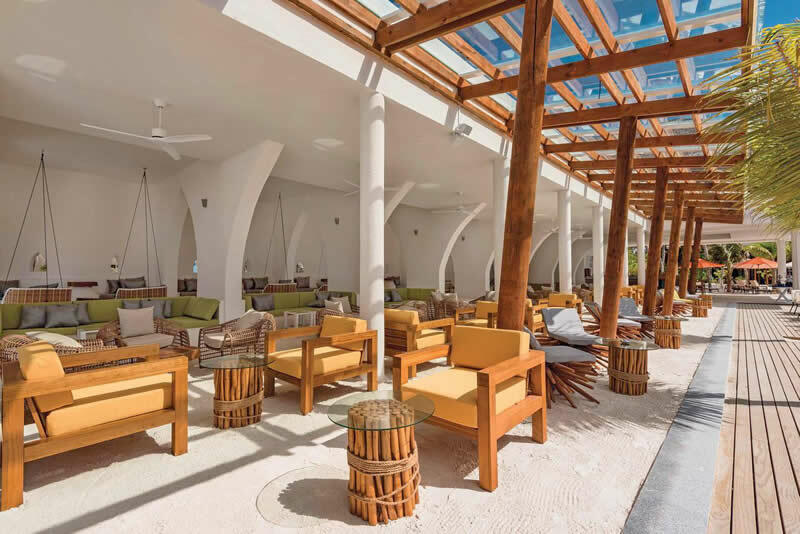 Under the premium All-inclusive Serenity Plan, guests can be expected unusual gourmet cuisine, exotic food and drinks and various activities that are also included in the price. The resort's main restaurant is the Courtyard; two gourmet restaurants - Just Grill and Simply Veg; and the stunning The Sangs poolside bar. In addition to the varied themed buffets at The Courtyard, the discerning guests have the chance to grab a snack at The Sangs, and also order themselves for an exotic culinary experience - once at Just Grill, and in Simply Veg - for every seven nights. Exotic dishes, as well as a variety of spirits, cocktails and wines, fresh seafood and pure vegetarian options will surprise the guests with various themed evenings and interactive live cooking offerings. In all dining places, the serving staff work very hard to make sure the meals were enjoyable, with warm welcomes, helpful guidance, efficient clearance, and a readiness to converse if they sensed that is what their guests wanted. At Simply Veg and Just Grill on Banyan Island, à la carte dishes (ordered via tablet as set menus) such as Ceylon pot sweet potato, plantain banana and curry leaves soup and seaweed tuna roll with ginger eggplant caviar are fresh and piquant. Children are allowed in the à la carte restaurants at dinner. Don't miss sunsets at the Rock bar, located on a small jetty overlooking the open ocean. At Oblu at Sangeli you feel like you never stop eating. The Serenity Plan is great - the whole island is all inclusive and most meals are taken in the Courtyard. 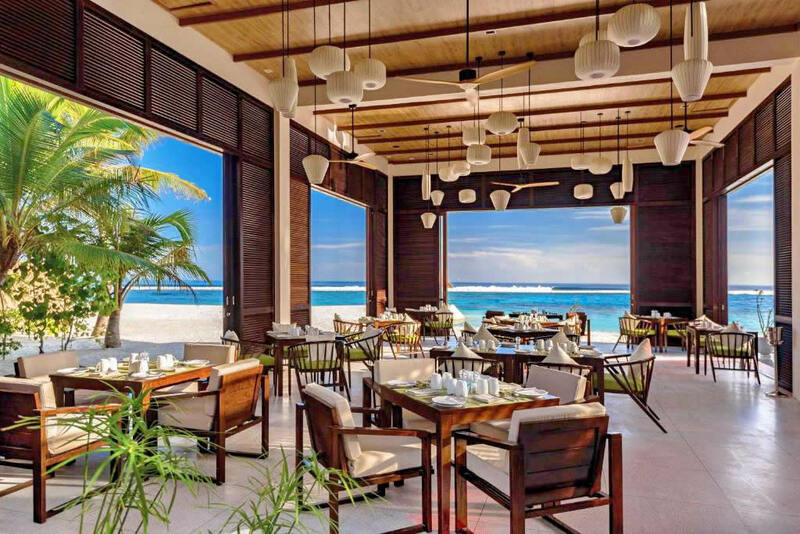 Located on the main island, Courtyard restaurant serve buffet breakfasts, lunches and dinners, with a wide selection of western cuisine, Indian curries, noodles and Maldivian dishes such as Garudhiya, a fish broth served with rice, lime, chilli and onions. There are always something new, exciting and delicious to try at the buffet. If you are even an allergic or on a diet the Courtyard's team go above and beyond to ensure you are give the same choice and experience as everyone else. The main restaurant is split into five seating areas, one in each corner, all spacious and well staffed and one circular central area called the “Wine Drop” in reference to a decorative feature in the middle. Weirdly, even though it is by far the most attractive area, the wine drop is the designated smoking area and as none smokers we saw past this and sat in there for most meals as it has beautiful ocean views and is generally a beautiful location to eat. Opposite the wine drop is the main buffet, and for every breakfast, lunch and every evening meal there are so much choice. Breakfast is the usual fare - continental pastries, doughnuts, toast, curry options, small selection of cheese/meats, porridge, cereal, eggs, bacon, etc. The omelette station is brilliant. There are consistently 4/5 meat options, 3/4 fish options, lots of accompaniments such as rices, potatoes, vegetables, noodles and that is before getting to the plentiful salad bar, fresh bread cart and live pasta station there. It's easy to miss things - especially at dinner - the live cooking stations and terracotta curry pots are positioned around, sometimes outside of the main area (there's also a spot by the desserts which often has a joint of meat and is easily missed) so it's worth a full 'walk around' before you commit! You can easily build an a la carte style meal with a bit of planning and making use of the extensive condiment and salad offerings. On top of that the Charcoal Grill (different options daily) is ever present with another four options at every meal and there are regular pop up stations offering local cuisine, curries and fresh naan direct from the clay oven and even live handmade Indian desserts which you have the opportunity to making yourself! The fresh naans are the best you've ever tasted. There are a good variety of Asian, Indian and European options for mains. Vegetarians would have to work a little harder to keep variety I think, but the chefs are lovely and if you are struggling they will help and won't let you go hungry! The vegetable and paneer curries are fabulous. Big efforts are made in terms of food and drinks on theme nights - Christmas of course is the most fabulous, but Pirate Night is another favourite. Just a quick mention to the artistic pastry chef - Remoldfdo, he made some amazing desserts during our stay. All the staff at Courtyard restaurant are lovely - they make such an effort and you'll be very grateful for the time spent teaching the children palm leaf and napkin origami! In addition to various themed buffets at The Courtyard, discerning guests have an opportunity to snack at The Sangs as well as book themselves for an exotic fine dining experience — once each at Just Grill as well as at the Simply Veg — for every seven nights stay. The Just Grill is outstanding and the steaks are to die for. This fine dining restaurant's delicious dishes can be sampled for both lunch and dinner. All extremely tasty and a very high quality. If you're peckish between lunch and dinner then snacks are served at the Sangs at around 4-6pm by the family pool, usually some sandwiches and either fritters or spring rolls. With lager choice, the “Sangs” bar is well located and drinks are good. Just excellent in every way, loads and loads of choice, well staffed so service is quick and all of the guys are so knowledgable and friendly beyond belief. Included wines are absolutely fine - nice selection of red/white plus 3 rose to choose from. Cocktail menu is great - about 10 available - as part of the serenity package. The same cocktail could be different every time depending on who was making so worth trying the same one a couple of times, and the mojito is mostly good too. The mocktails are really delicious. Recommended favourites alco-free ones are the shirley temple, blue lagoon, apple cooler and granny smith. Sangs will also do a chocolate milkshake which keep the kids very happy. Live music is played on Sundays. Staff are friendly and obliging. On the other side of the island is The Rock bar that is built on stilts in a shallow lagoon.This is open "only" from 17-19 clock and is perfect for a sunset built from a picture book. 'We ended nearly every day at the Rock bar watching the sunset. It was so relaxing and we thoroughly enjoyed having a drink and chatting to some of the other guests. Most evenings the bar had a singer or some form of entertainment. It was very much a couples resort and super relaxing'. There you can make great encounters in the early evening. Yes there are “top end” brands which are outside of the serenity all inclusive package but you have not need to dip into these as there is more than enough selection without them. Being an All Inclusive resort, “The Serenity Plan” offered by resort, includes everything which resort offers on the island as mentioned in “The Serenity Plan”. 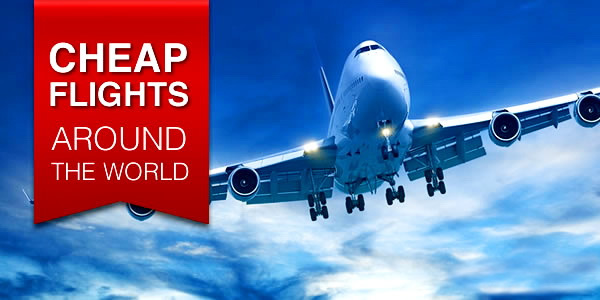 It is truly a value for money and I would definitely recommend others to go for this plan. The "Serenity Plan" is excellent, and it makes the holiday so much more relaxing knowing that there would be no financial surprises. The SERENITY Plan™ at Oblu Sangeli offers an exceptional range of cuisine with breakfast, lunch and dinner served at The Spice, combining an expansive buffet, live cooking stations and theme nights, alongside an a la carte dining experience at either Simply Veg or Just Grill for every seven nights of stay at the resort. Guests also benefit from an unlimited beverage plan including regular international brands, soft drinks, water and a selection of tea and coffee. The snorkelling around the resort is very good and the water crystal clear. Talking to other guests who had been to the Maldives before said the house reef is not as abundant as other islands, but this will get better as it settles down after the hotel construction. There is an abundance of marine life to discover in the house reef and the dive sites around Sangeli. Expect to spot: lobster, an octopus, tang, parrotfish, crabs, a sea snake, trigger fish, moray eel, butterfly fish, angel fish, sea slugs, grouper... too many more to list. Highly recommend to ask the lovely team at the diving centre - their knowledge and advice is excellent. The house reef is also where you can see a reef sharks and turtles. Because the house reef is shallow it can be a bit claustrophobic and if you snorkel at, or on the way to, low tide be sensible and plan your route in and out (by standing up and identifying the lighter blue channels). 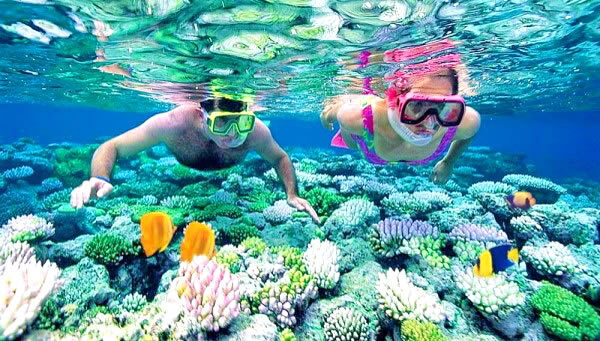 Best time to snorkel is morning hours as the sea is at its calmest and clearest. You can snorkel all the way around the lagoon edge just for the fun of it - the best spectacle is on the front edge, nearest the beach. You can also swim out a bit further to the lagoon edge which is marked with a rope (good spot for kids to hang on and adjust masks). This area is directly in front of the Courtyard restaurant and Sangs bar. The drop off is vertiginous and can be a bit of a surprise to little ones but it's worth getting over the 'drop' feeling as the fishes in this area are big and beautiful. You can peer down into a very different colour green-blue as the coral drops away into a basin about 14m deep. Along the front edge of this basin is a simply stunning section of coral with lots to explore. Large shoals which swim below and alongside you, huge pufferfish, oriental sweetlips, titan triggerfish, goat fish and another sea creatures. Magical. If you still want more, there's another incredible spot. Walk along the water villa jetty and you'll see a set of wooden steps on the right hand side about a third of the way along. So keep walking until the turning area, half way along, where steps go down into the water on the left side, between the water villas. This is very close to open ocean and you feel the currents even when you are only up to our knees. Kids aren’t left out either, OBLU Select is great for families thanks to the fantastic kids club and the family suites which are some of the largest in the Maldives. For the ultimate family getaway BEACH FAMILY SUITES with POOL is spacious 2 bedroom + 2 open-air bathroom villas come with a living area and a lovely 13m² private pool! Ideal for families or group travellers! There's a children's pool, a playground with a trampoline and a room board games, a playstation. The resort features daily organized activities for children and young adults at the kids club, so adults can indulge in the resort’s Elena Spa while the kids make lasting memories. There is also a library, which is free of charge until 6pm. An evening babysitting service costs $10 per hour. One Banyan is an adults-only island so children under 16 years old are only able to dine at Simply Veg and Just Grill during the day. For a small island the activity options are brilliant. Serenity Plan guests may explore the wonders of the Maldives with these specially made excursions to experience as part of your stay. The slide on the beach is open and used by adults and kids and you can enjoy spending afternoons around both the adults only pool and the main pool. Sunrise yoga and pilates sessions, snorkelling masks and flippers are free and scuba diving equipment, stand-up paddle boards, kayaks and pedalos can be hired from the dive centre. The deep blue depths showcase wonderful hues of corals with a huge variety of the native Maldivian underwater environments in a relatively small space with high bio-diversity. Additionally, they also offers a range of water-sports options, both motorized and non-motorized, for guests to experience and learn - as well as exotic island excursions and cruises! All non-motorised water sports are free and are included in the serenity plan including the use of the paddle boards, kayaks and pedalo. TGI Maldives provides several types of excursions, whether you want to fishing, relax on a deserted sandbank or go snorkeling and diving to explore the abundant marine life around the atoll. 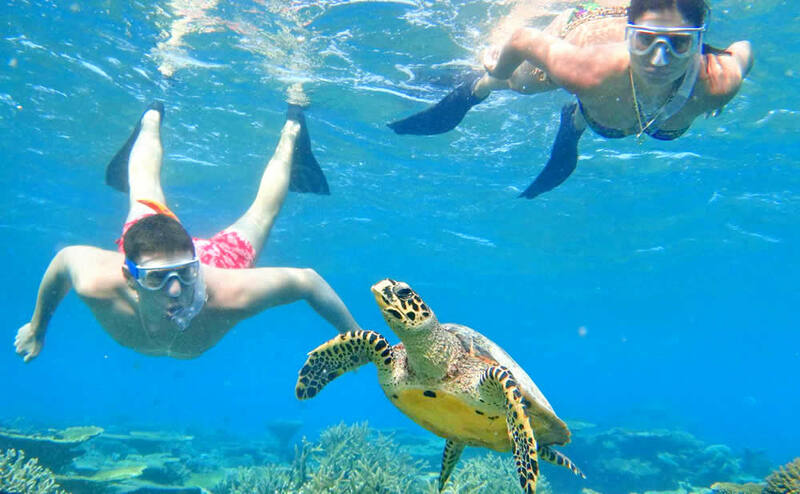 The best experience, Turtle Bay snorkeling excursion which you can book at the Dive Centre is must! It cost approx. $73 per person and it's worth every cent! Expect a 50 minute boat ride to the bay and then you'll spend over an hour snorkelling with a dozen turtles . As for the spa, amazing! 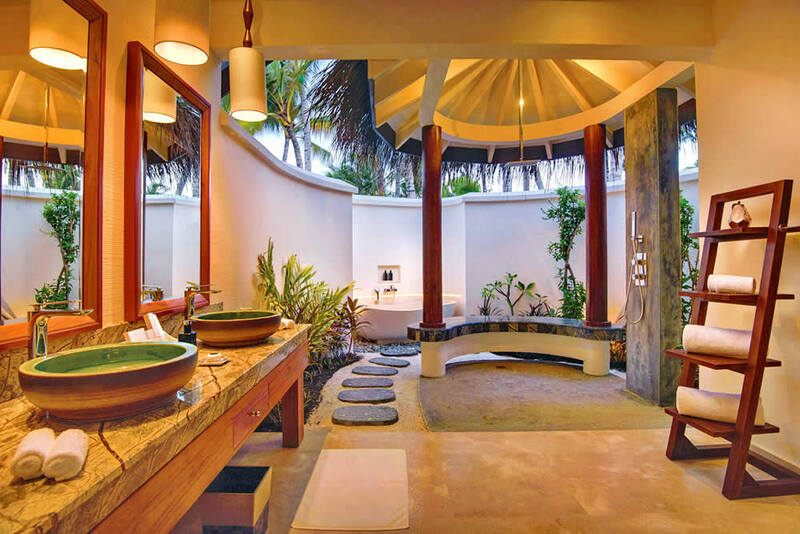 Elena Spa & Wellness Complex is set on Sangeli's Banyan island and offers specially crafted and comprehensive wellness experiences, therapies and massages using a range of natural and organic products. With 6 double treatment rooms, yoga pavilion, steam room facilities and a team of certified professionals, guests can embark upon holistic journeys surrounded by the calming and natural tropical surroundings. The resort's sport facilities include a fully-fledged gym with regular fitness activities throughout the week. The OBLU Select at Sangeli guest experience includes a variety of weekly theme nights, events, and festive happenings throughout the year! OBLU Select at Sangeli is another excellent hotel from the Atmosphere group offering a stunning lagoon, good options for food and drink, and high standards all round. Rooms are beautiful with huge bathrooms, while facilities include a great kids club, a very good dive shop and an excellent water sports centre. The accommodation is spacious, clean, comfy and with wonderful views. 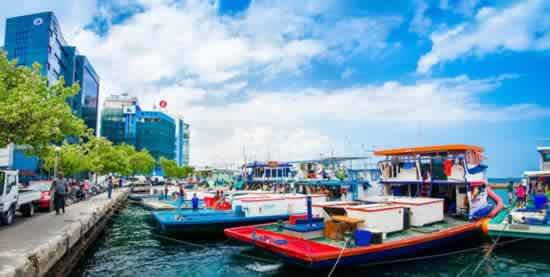 your speedboat is air conditioned, and you get wifi ,water and chocolate during the jorney from Male to the island . A Beach Villa or Water Villa without a pool on the Serenity Plan, includes breakfast, lunch and buffet dinner (and one à la carte dinner for every seven nights).